The Government yesterday enlightened over 100 potential local and foreign investors on what it called as “the endless opportunities” available to them through the Western Region Megapolis Development Master Plan. The Urban Development Authority (UDA) held the first business and investment forum targeting the Western Region Megapolis, titled ‘Investment Opportunities’, at Waters Edge, to attract $ 16 billion within the next 10 years. The overall project is estimated to attract over $ 40 billion in investments. Megapolis and Western Province Development Minister Patali Champika Ranawaka, addressing representatives of diplomatic missions and potential investors in the Megapolis project, identified the financial sector, maritime transhipment, energy sector and commodities as chief areas of development within the master plan. He emphasised that the Western Region Megapolis was timely and important as far as the country’s future and development were concerned. Considering its geographic location, international opportunities and demography, the Minster pointed out that Sri Lanka needed to design strategies on the way forward. With the country aspiring to become a significant hub to support its positive growth trajectory, Ranawaka assured investors that the ministry would facilitate their entrepreneurship to bring new business to the country. He further stated that the Government had created this particular ministry to develop the entire western region, which included the western shore and sea, in a well-distributed, integrated, meaningful and sustainable manner, as part of the master plan. “We look forward to establishing a business district free from other unwanted Government businesses and to provide time-guaranteed transport for goods and commuters and to facilitate the creation of a financial hub in Colombo. Maritime transhipment is an already available prerequisite which will be enhanced further. We have the potential of embracing few other commodity hubs which are not available in other parts of the world but will enrich our vision,” he added. Noting that a hub was essentially a market where shares in companies were bought and sold by brokers on behalf of investors, Ranawaka stated that Sri Lanka had the capacity to create such hubs for gems, tea and minerals. “Oil and gas exchange can be most practical when natural gas is explored on a commercial scale in the Mannar basin where we have the maritime upper hand; we can have the bunkering business too,” he said. As the country was ideally positioned between energy-hungry Eastern Asia and the oil and gas producing Middle East, he said Sri Lanka had great potential to be a trading hub within the energy sector considering its huge renewable energy potential as well. The Minister pointed out that it was critical for the country to move in these directions in order to bring home female expatriate workers in the Middle East and enable them to lead a better life. “Depending on the Middle East for our labour market is not sustainable, not to mention painful. Only then will our sisters in the Middle East be freed. Not through slogans,” he stressed. 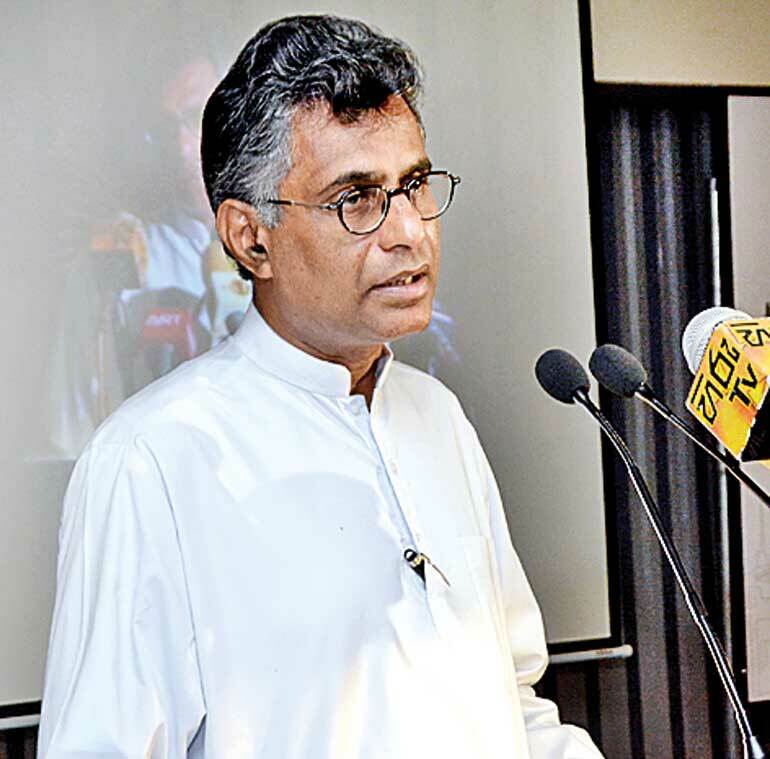 Ranawaka said that although the Government had done the groundwork, investors needed to initiate businesses, bring in foreign capital and form joint ventures to realise the country’s development goals. He added that the new legislation to be brought in soon on the formation of the Western Region Megapolis Authority would remove many obstacles to development.